Last week the Senate Finance Committee passed a bipartisan bill that will greatly help older adults who suffer from multiple chronic conditions. The CHRONIC Care Act of 2017 includes important provisions that better enable Medicare Advantage plans to provide social supports such as minor home modifications as supplemental benefits. These modifications such as railings in the home and grab bars in the bathroom would greatly assist frail elderly Americans stay in their homes and protect them from the risk of falls. Sadly, each year, millions of Americans over the age of 65, more than one out of four, experience a fall resulting in 2.8 million emergency department visits and 800,000 hospitalizations. Most of the injuries occur from broken bones, such as hip fractures, and head injuries, such as traumatic brain injuries. 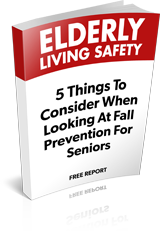 All told, 27,000 adults die from falls each year making it the leading cause of injury-related death in older adults. Recent data also suggest that falls cost the Medicare program over $31 billion annually (as a comparison, cancer costs Medicare $36 billion annually). The good news is that most falls are preventable. However, there are no comprehensive programs or policies currently in place across the federal government to tackle this public health challenge.Fortunately, there is a falls prevention policy prescription that the Bipartisan Policy Center has outlined in its reports, Healthy Aging Begins at Home and Improving Care for High-Need High-Cost Medicare Patients. First, healthcare providers need to redouble their efforts in falls prevention screening and management. They should utilize the Centers for Disease Control and Prevention’s STEADI (Stopping Elderly Accidents, Deaths, and Injuries) tool to screen, assess, and intervene to prevent falls. Central to this is assessing for difficulty with walking, balance, or vision and also reviewing medication lists. The Centers for Medicare and Medicaid Services (CMS) should provide technical assistance to providers through its Quality Improvement Organizations, which are state-based entities organized to improve the quality of care for Medicare beneficiaries. Importantly, CMS should also include the number of falls-related admissions, as opposed to simply the number of patients screened, as a quality measure for alternative payment models and Medicare Advantage plans. An analysis of one such program, Matter of Balance, showed that for every 20 program participants, one unplanned admission was prevented; overall, participation was associated with a $938 decrease in total medical costs per year. 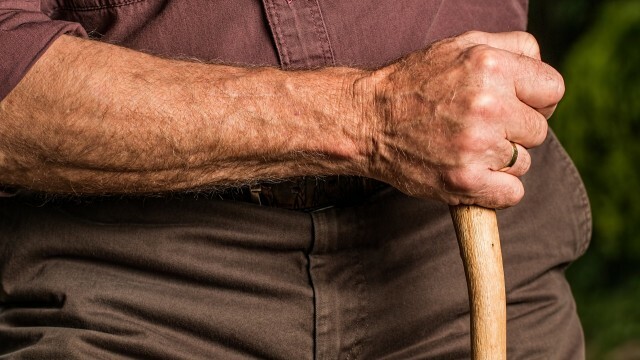 CMS should further test and evaluate delivery of and payment to evidence-based falls prevention programs to see whether they can be expanded to more beneficiaries under the authorities of its Innovation Center. Third, most falls occur in the home and thus seniors should be supported to reduce fall risks in their homes, most of which were constructed without “universal design” features such as no-step entry, bathroom handrails, and switches and outlets reachable at any height. Many states and localities offer tax credits to seniors to help with home modifications and bipartisan federal legislation in the House of Representatives has also been introduced to this end. In addition, a bipartisan bill introduced by Senators Angus King (I-Maine), Susan Collins (R-Maine), and Brian Schatz (D-Hawaii) focuses on better coordination of federal resources available for senior home modifications and dissemination of this information through the nation’s Aging Network which serves nearly 10 million low-income seniors across the country. Healthcare is complicated. Yet, there are instances when improving health, improving care, and lowering costs are simultaneously possible. Falls prevention is one of these opportunities that federal policymakers in conjunction with healthcare providers and private sector leaders should elevate to the top of their agenda. Our nation’s elders and loved ones deserve nothing less. Anand Parekh, M.D., is chief medical advisor at the Bipartisan Policy Center and former deputy assistant secretary of health at the Department of Health and Human Services. Katherine Hayes is director of Health Policy at the Bipartisan Policy Center and served as health policy advisor to members of the Senate, House of Representatives and Governors in both parties.